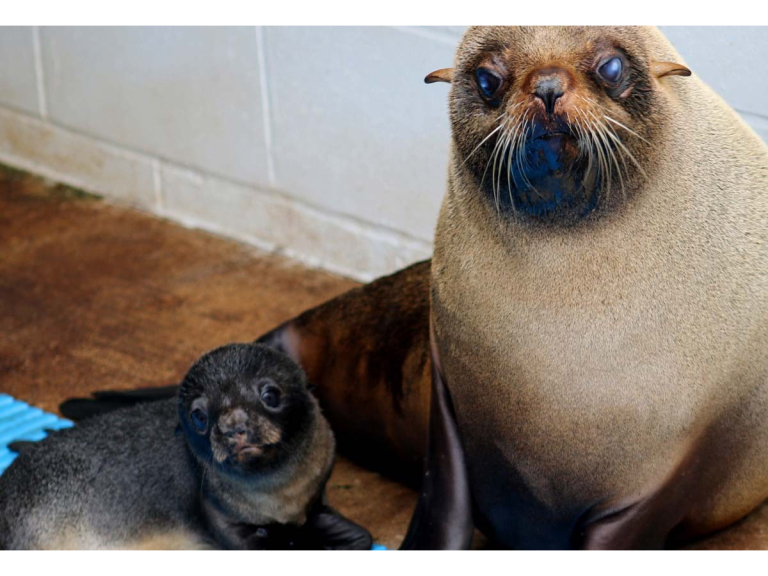 South American fur seal Grace has given birth at Living Coasts. She surprised animal staff by going into labour in the middle of the day on Thursday 25th May. There were some tense moments when it became clear that this was a breech birth and the pup was emerging tail first, but it was born naturally just as the zoo’s in-house vet team was preparing to intervene. Grace and her new male pup have remained off-show since then to allow them to bond in peace. In 2014 Grace gave birth to Gemini, who had to be hand-reared by keepers when Grace was unable to produce enough milk for the pup. Living Coasts Operations Manager and Curator Clare Rugg said: “Grace is being extremely attentive - it’s great to see them getting to know each other. He is a very vocal pup and he’s certainly strong and active. Then, every so often, he settles down to a suckle and a sleep. The pup has been named by local business Tamar Telecommunications. Managing Director Jamie Christoforou made a successful bid for the right to name the pup at Paignton Zoo’s recent charity adoption auction. He has decided that the pup should be called Tamar. Along with mother Grace and father Karel (pronounced Carl), Living Coasts is home to two younger fur seals, females Gemini (born in 2014) and Tunanta, who was born in 2006 and was the first seal pup to be born at Torquay’s coastal zoo. For more information go to www.livingcoasts.org.uk or ring 01803 202470.